From internships to the International Business Club, learn how to get the most out of your time in the International Business program. Learn about the exciting opportunities International Business has to offer. Download the free Rollins International Business Major Map app and create your curriculum plan or major map to lay out your courses for the duration of your undergraduate degree. Select your courses, term, and year and then email a copy to yourself, your advisers or anyone that may need to keep track of your curriculum. INB majors are required to complete an internship (INB 397). INB majors may satisfy this requirement by (a) participating in a Rollins International Internship program (e.g., London, Spain, Costa Rica, China, Australia), (b) a summer internship abroad, or (c) a local internship with a reflection paper on some aspect of international business. Students register for internships through the Office of Career Services. International Business has three exciting concentrations: Family Business and Entrepreneurship, Finance, and Marketing. By completing 3 or more courses in one of these specific ares, INB majors may count this as a concentration. Concentrations are subject to Department Director approval. Students must be registered in INB 498 for the Fall semester and INB 499 for the Spring semester to be eligible for honors in International Business. 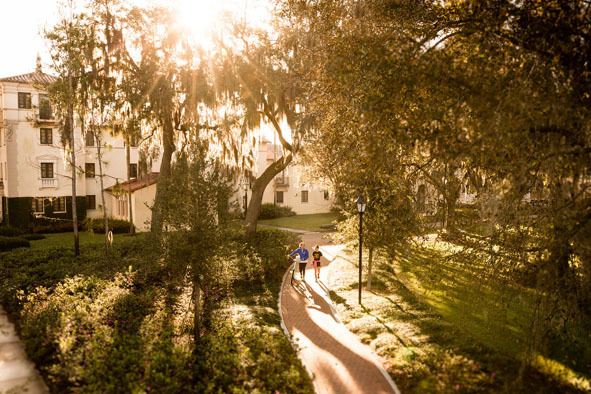 The Rollins International Business Club (INB Club) is a student-run organization, enhancing the understanding of issues related to international business and promoting international career opportunities among members of the Rollins community.